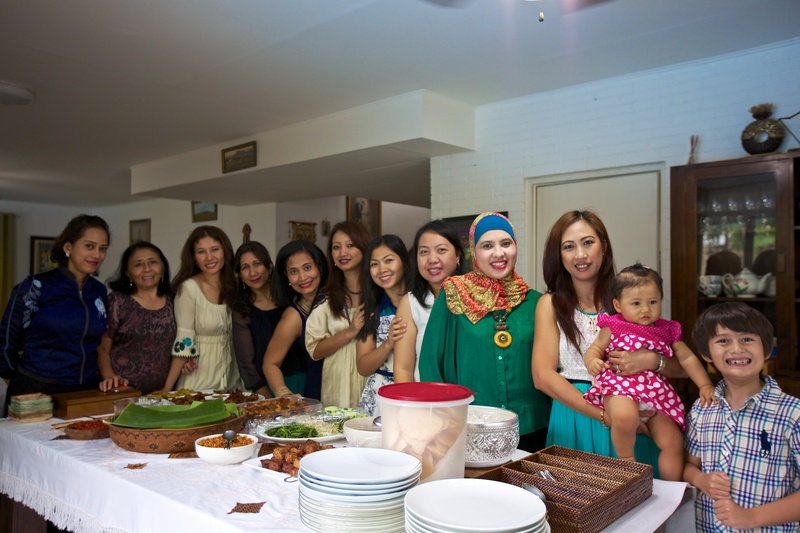 Once a month for the last 1 year and a little bit I’ve been attending the Indonesian Ladies luncheon here in Manila. Its a great way to meet new friends and a chance to speak in our mother tongue. The host normally consists of 4 persons and we all take turn to prepare the lunch spread. 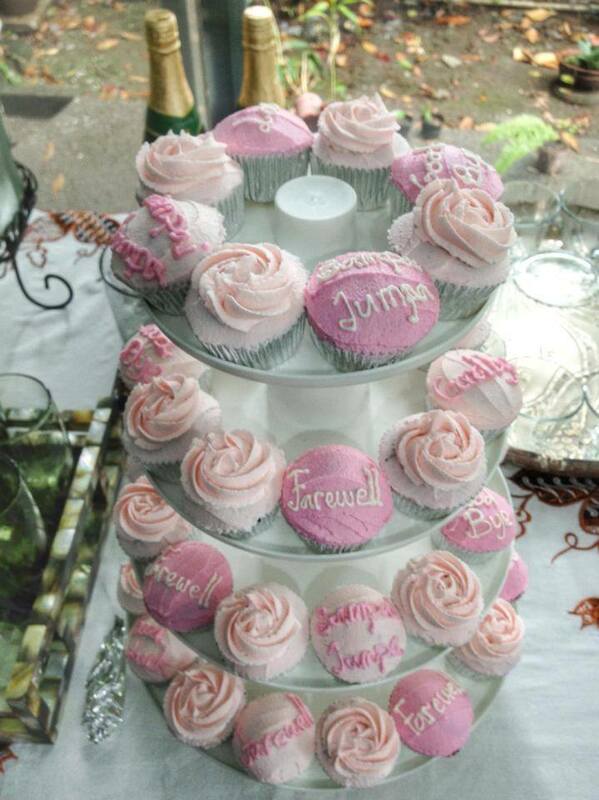 Unfortunately today gathering was slightly unusual, we bid farewell to several ladies whom leaving the Philippines to a new destination hence I’ve made mini chocolate cupcakes with buttercream frosting in pale pink and white color combination with some words on it (farewell is sampai jumpa in Indonesian). We all had a great time, can you spot me among my fellow Indonesians? Safe travels ladies, till we meet again. This entry was posted in buttercream, Cupcakes, note from the baker and tagged 48, buttercream frosting, chocolate cupcake, farewell cupcake, Gift Ideas, Indonesian Ladies luncheon, Manila, mini cupcake, Pink. Bookmark the permalink.